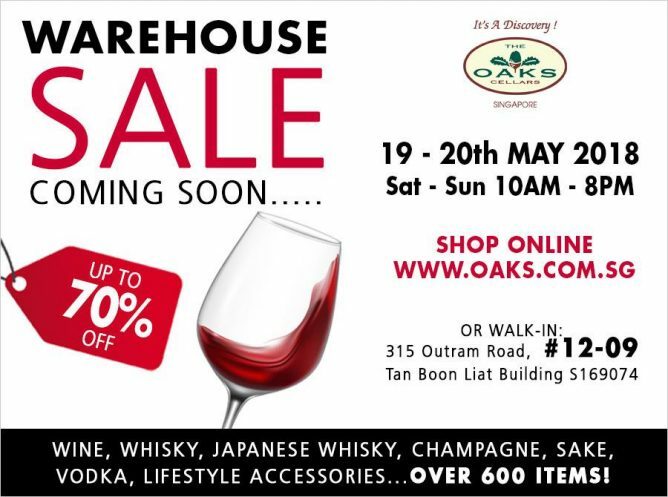 Home > Dining and Gourmet > wine > The Oaks Cellars: Warehouse Sale with Up to 70% OFF Wine, Whisky, Champagne, Vodka & More! 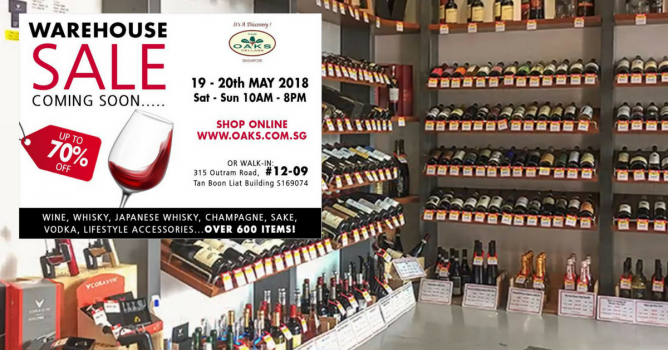 19 - 20 May 2018 The Oaks Cellars: Warehouse Sale with Up to 70% OFF Wine, Whisky, Champagne, Vodka & More! 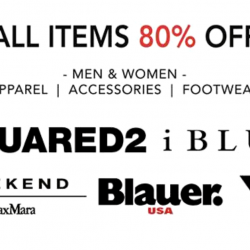 Note: the Warehouse Sale FREE Delivery is offered for the purchase over S$500. 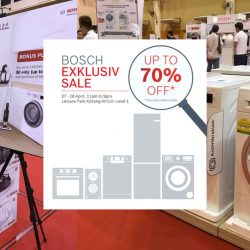 Delivery dates to be confirmed upon allocation. 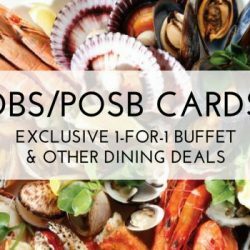 Next: The Coffee Bean & Tea Leaf: FREE Brek ‘O’ Day Breakfast Set for Your Mum!